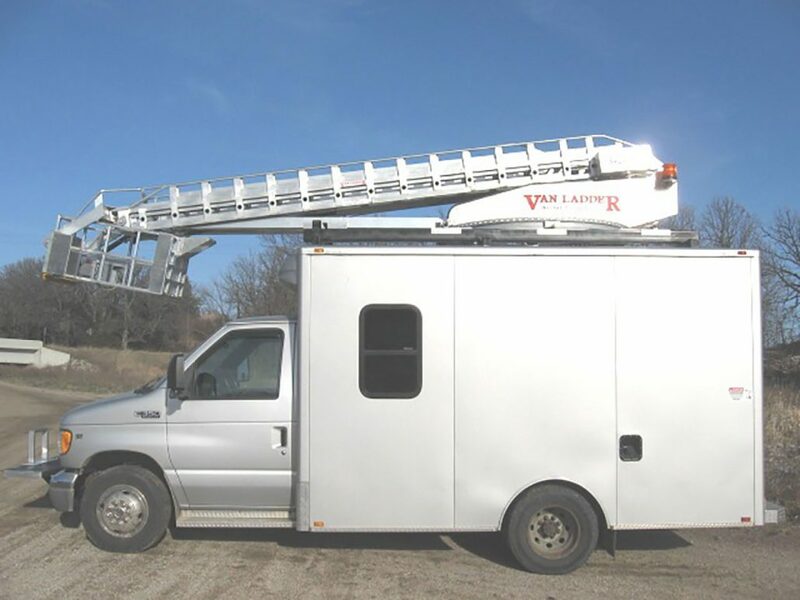 Van Ladder bucket trucks are available in several standard packages. 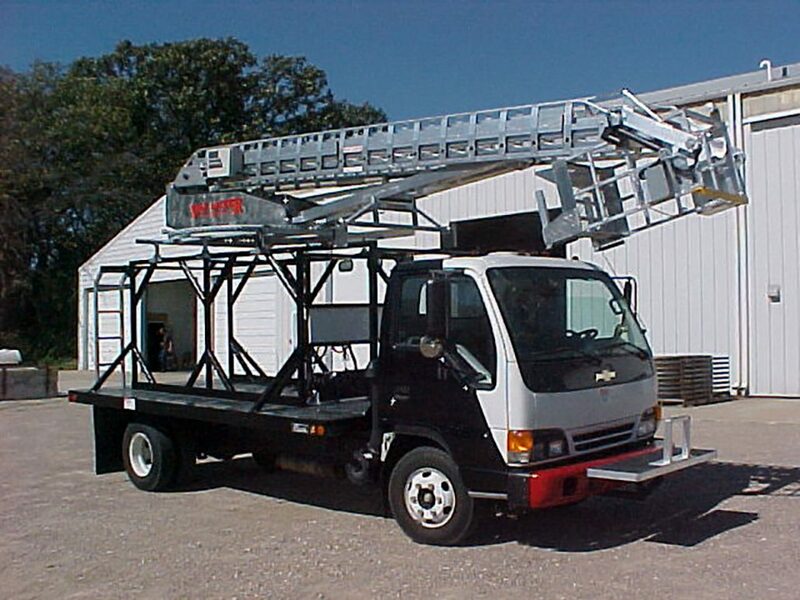 Van Ladder bucket trucks are available in several standard packages. 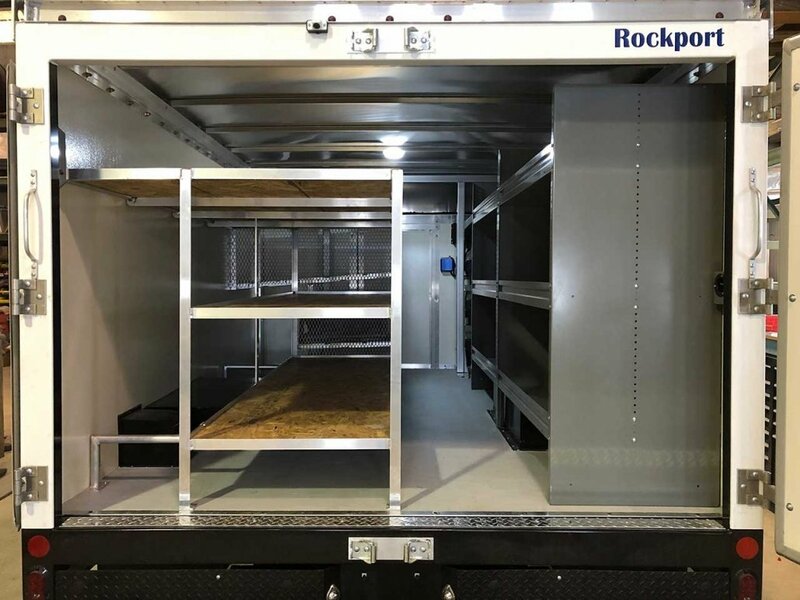 Installations on Workport and Cargoport bodies coupled with either a GM or Ford chassis provide a cost effective solution for many applications. 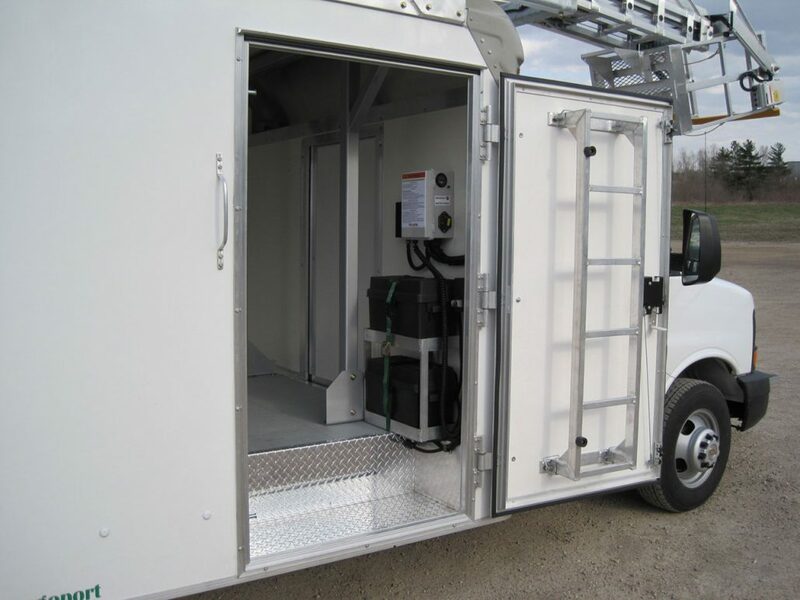 Custom installations on other vehicle types are also available. 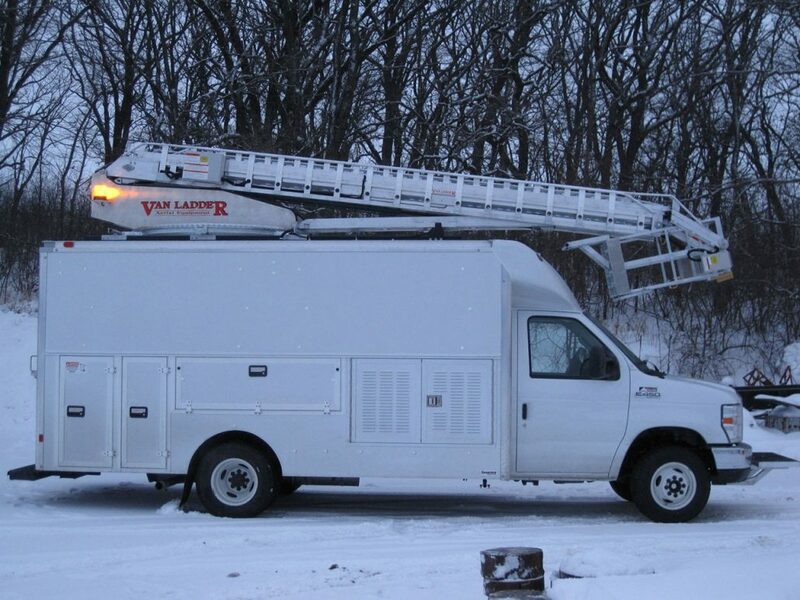 Contact our knowledgeable staff to discuss your vehicle needs. 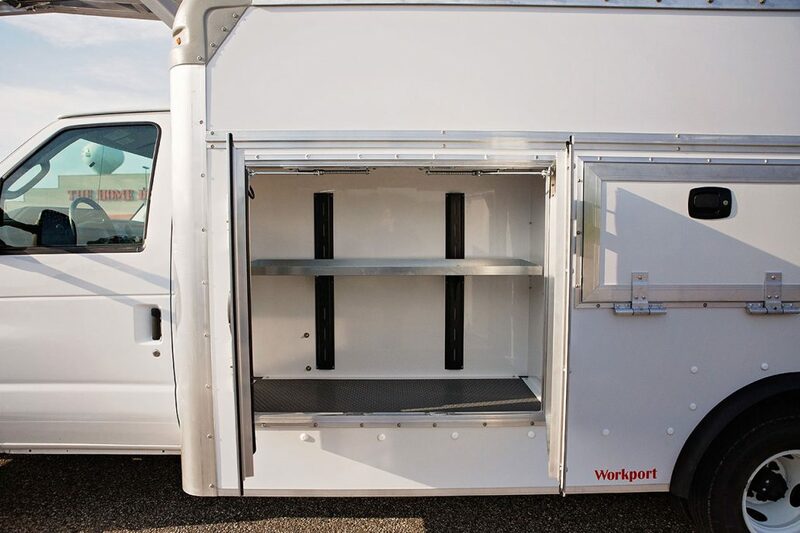 The Workport enclosed service body is manufactured to Van Ladder specifications to achieve an efficient and economical solution for a variety of applications. 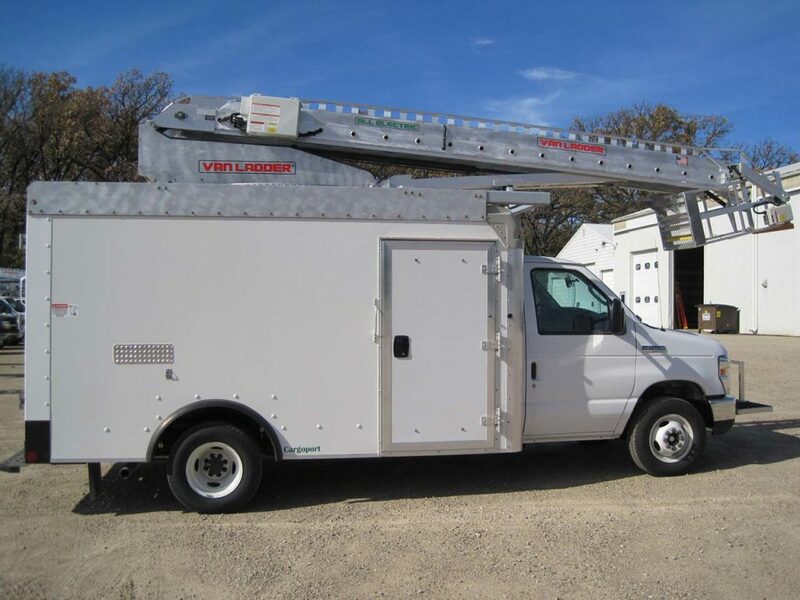 The generous compartments with adjustable shelving and a fully enclosed walk in area make this bucket truck a true workshop on wheels. 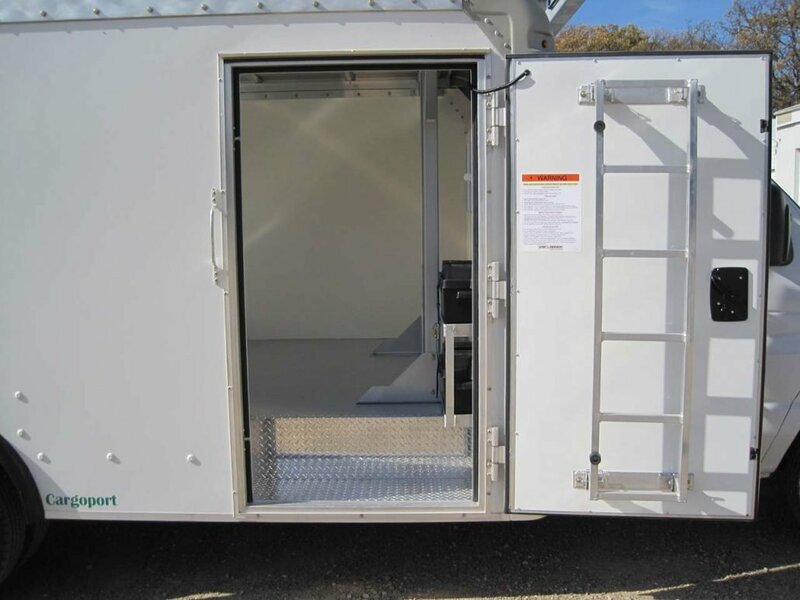 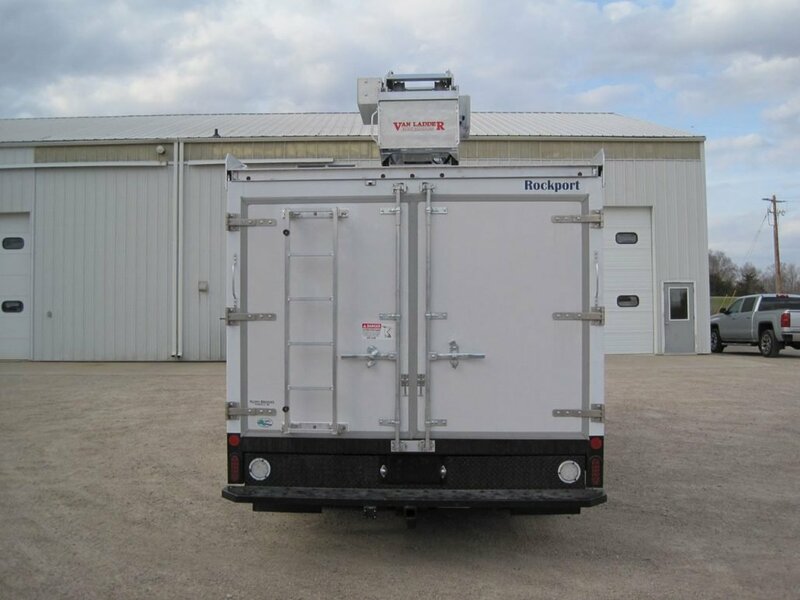 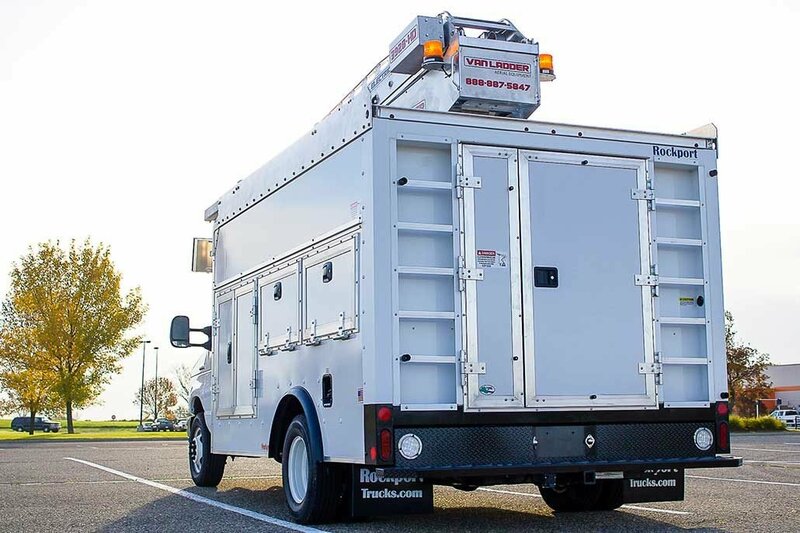 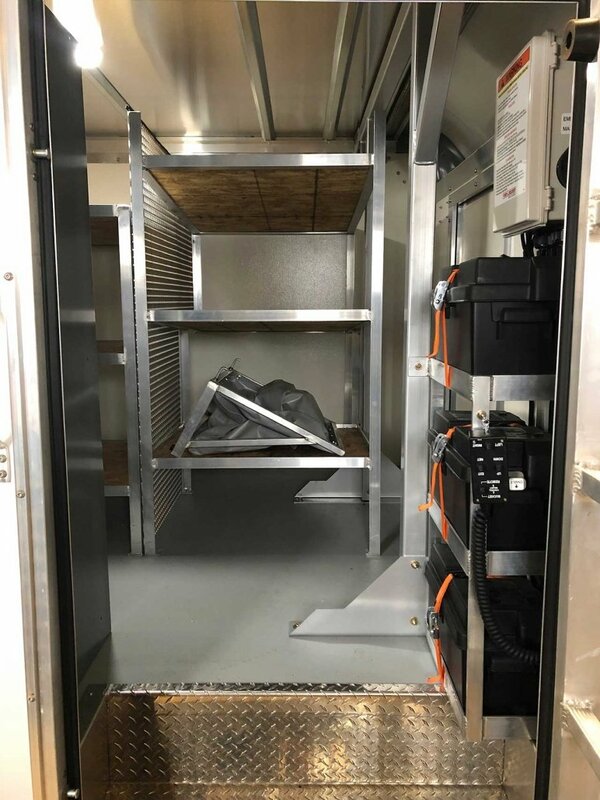 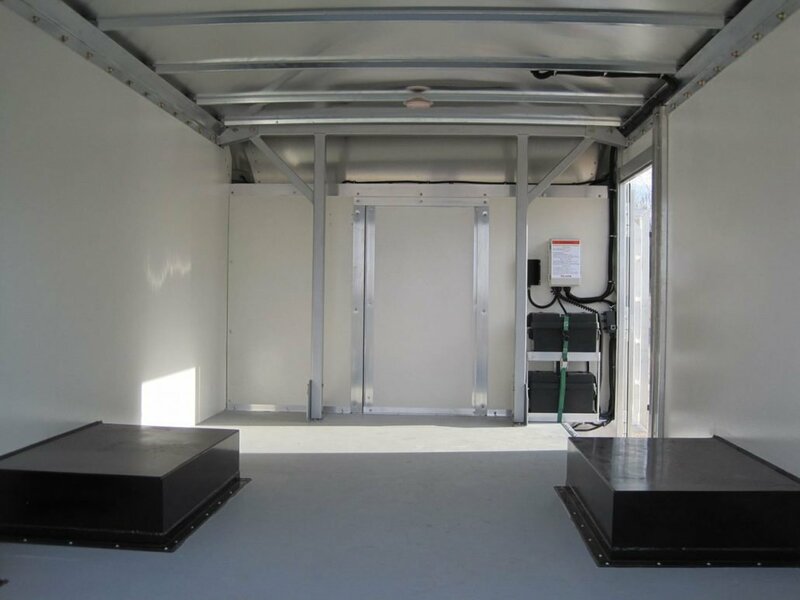 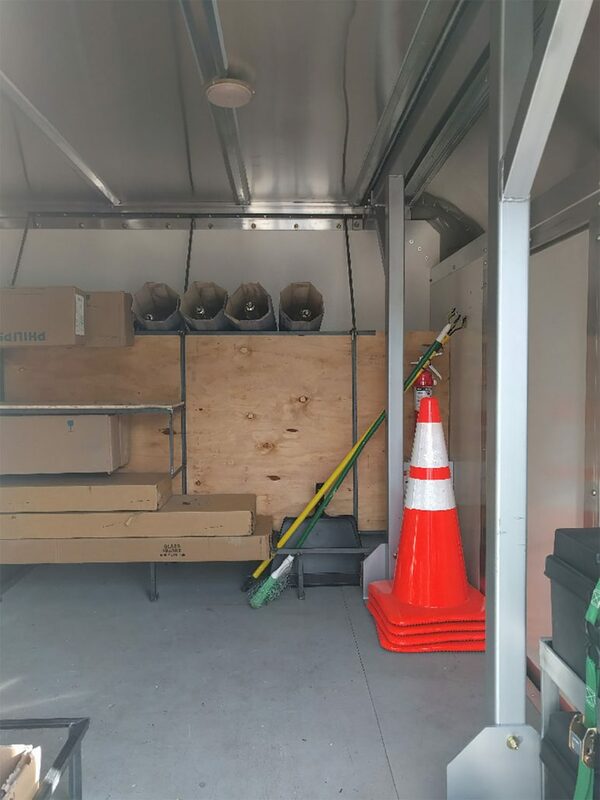 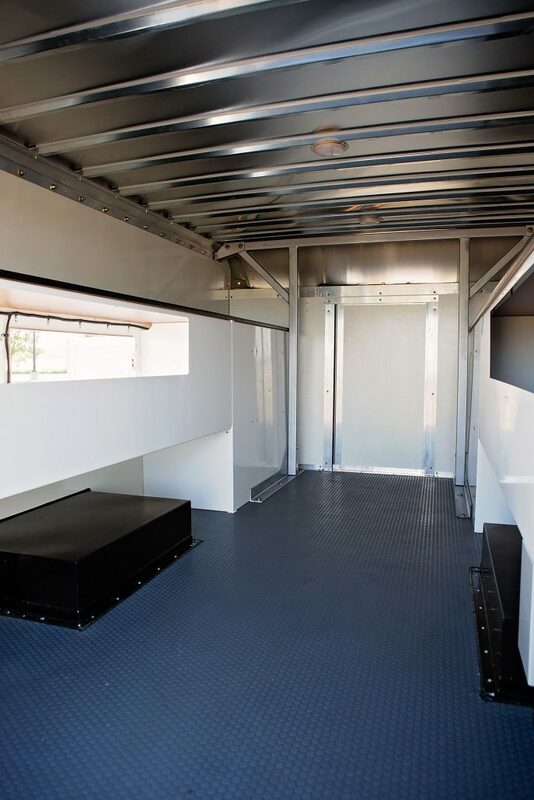 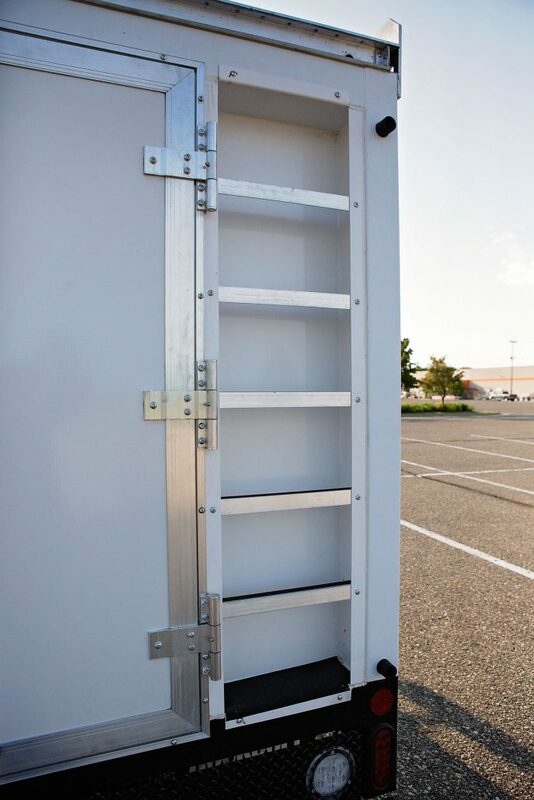 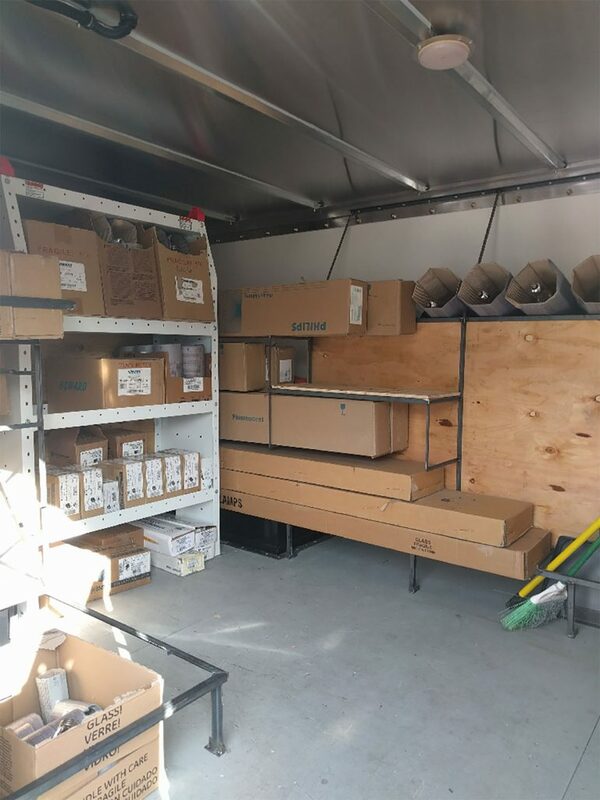 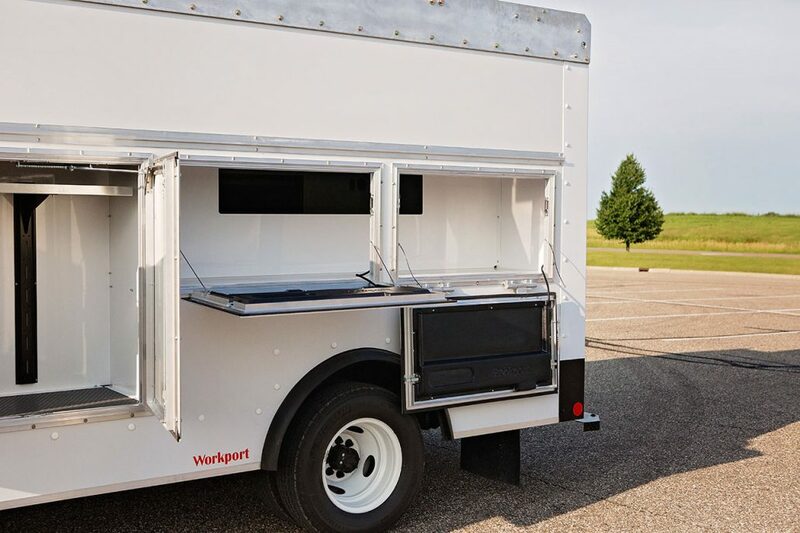 The Cargoport enclosed body is manufactured to Van Ladder specifications to provide a large open space able to be customized by the end user for maximizing storage potential. 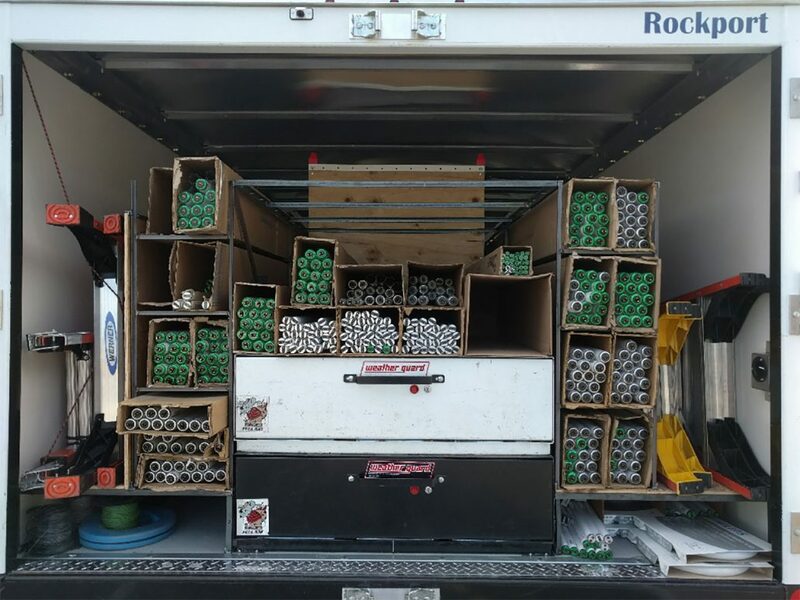 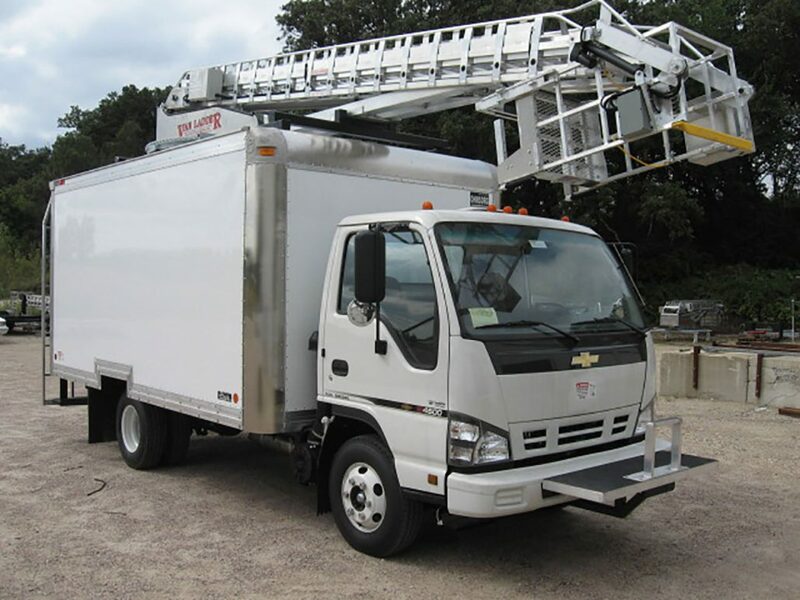 This creates a bucket truck that can be upfit with a variety of shelving and storage solutions or left open to handle large, bulky items. 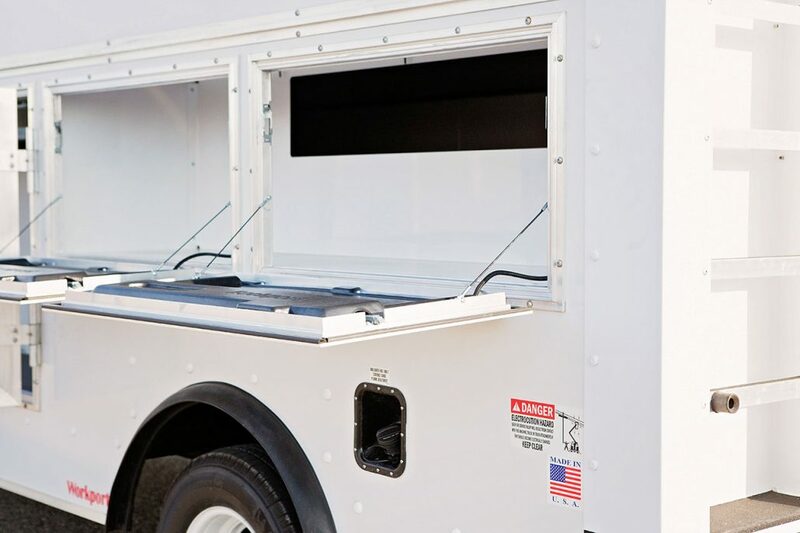 The curbside access door adds to the ease and flexibility offered by this body. 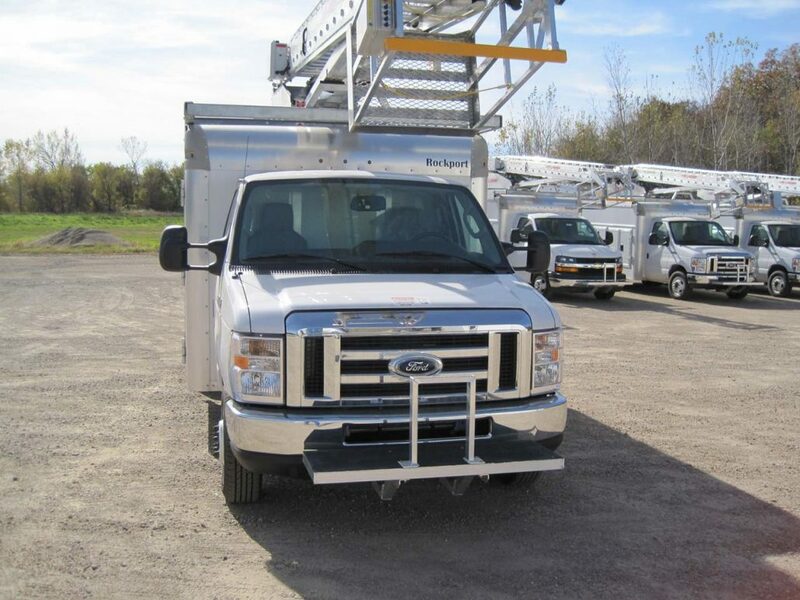 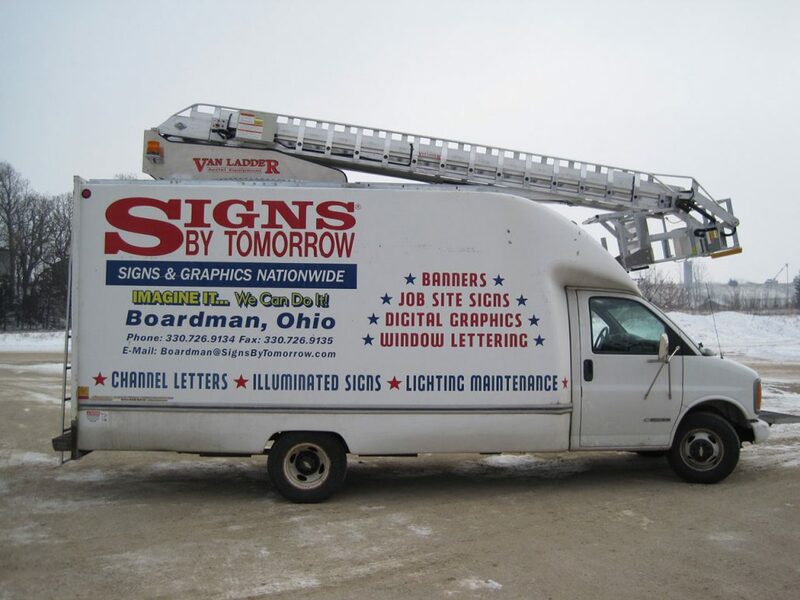 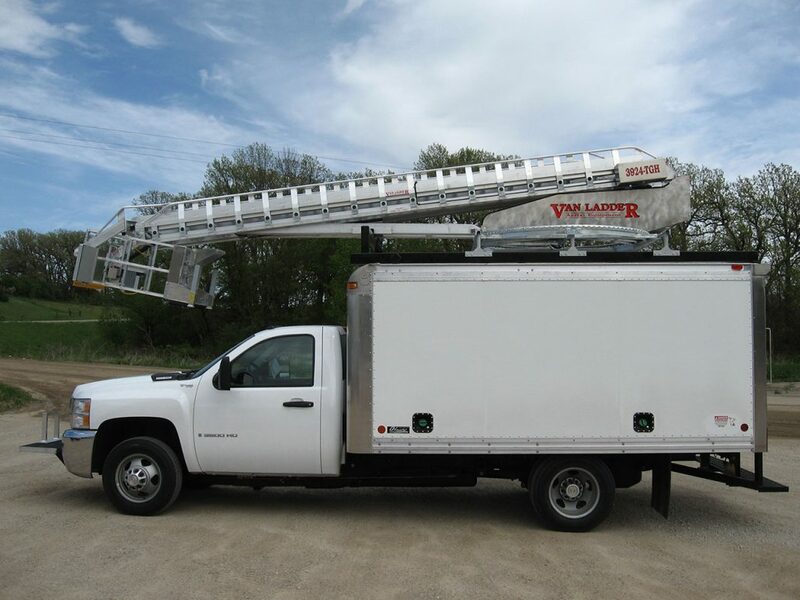 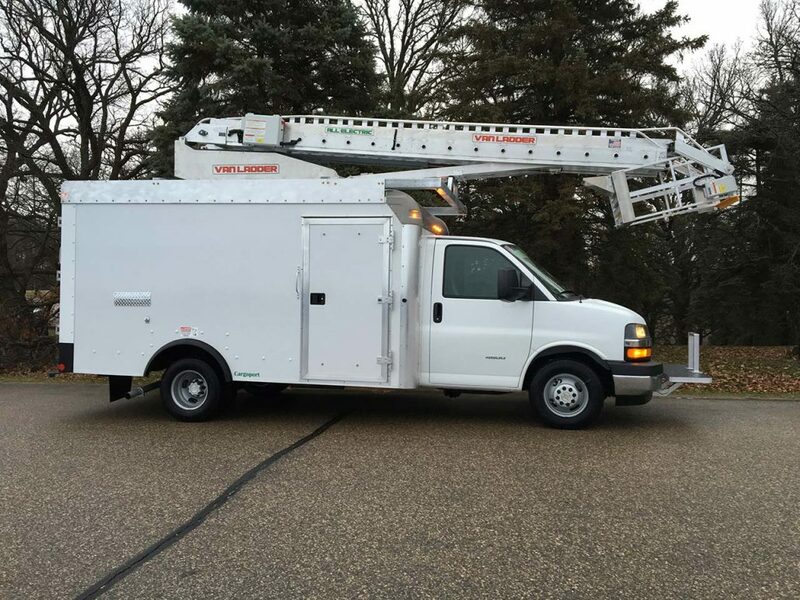 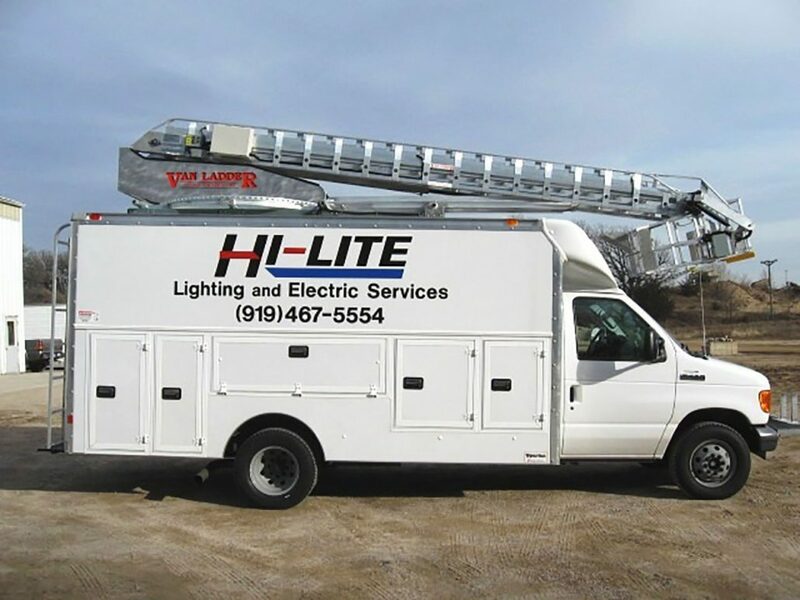 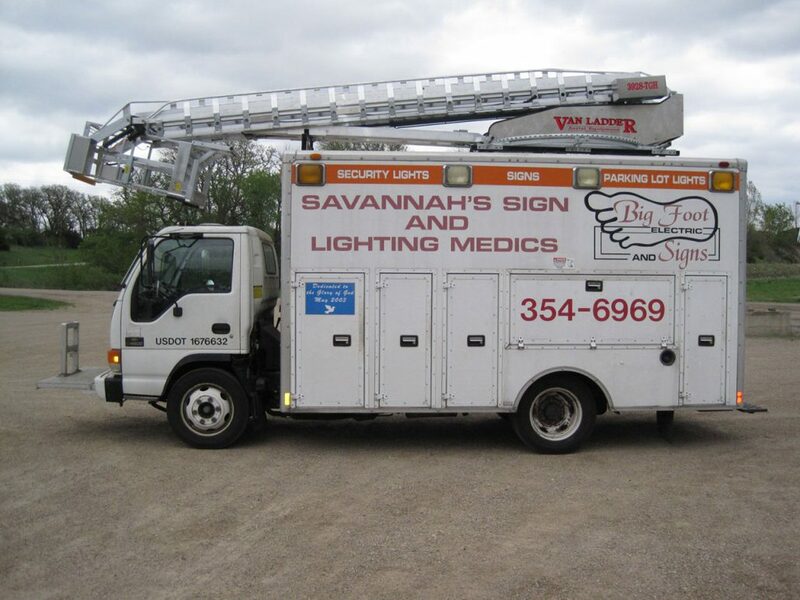 Van Ladder aerial lifts are designed to facilitate installation on many vehicles and bodies including: trucks, van cutaways, cab-over, flatbeds, utility bodies, cube bodies. 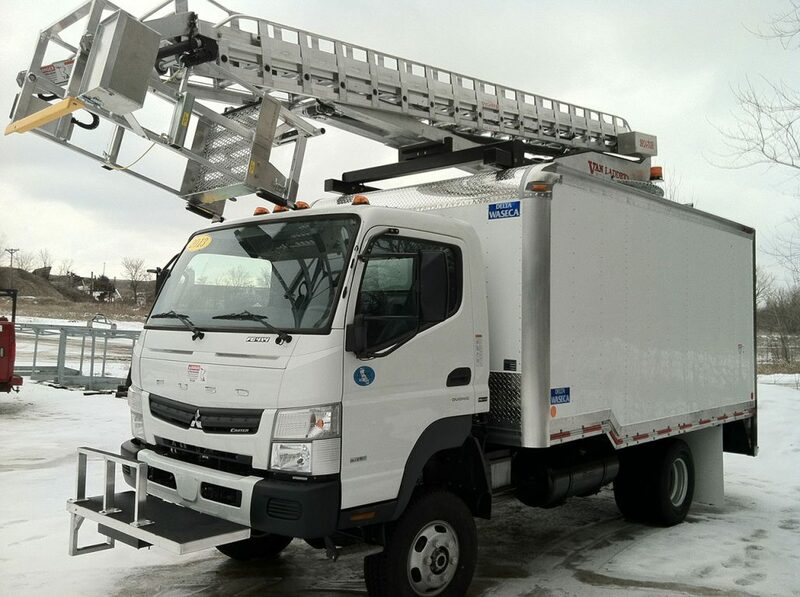 Do you have a vision for your perfect bucket truck? 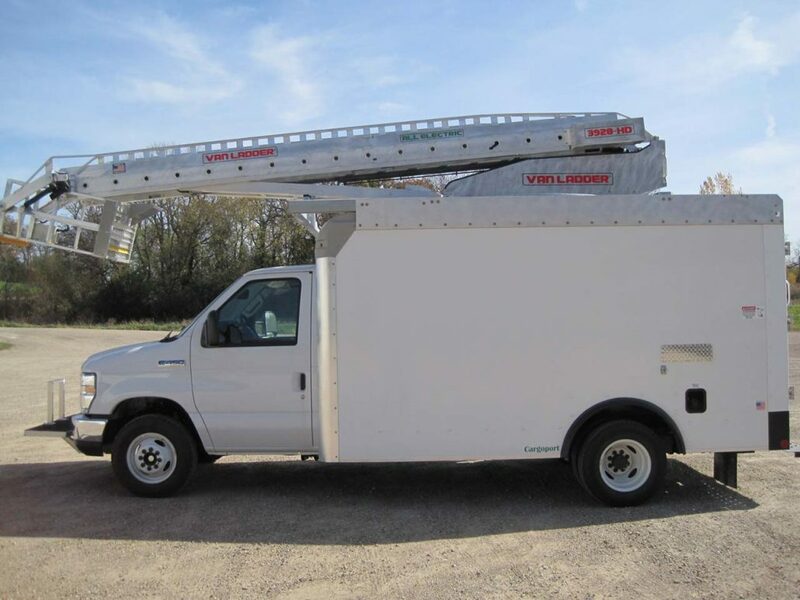 Do you have an existing vehicle you would like to upfit? 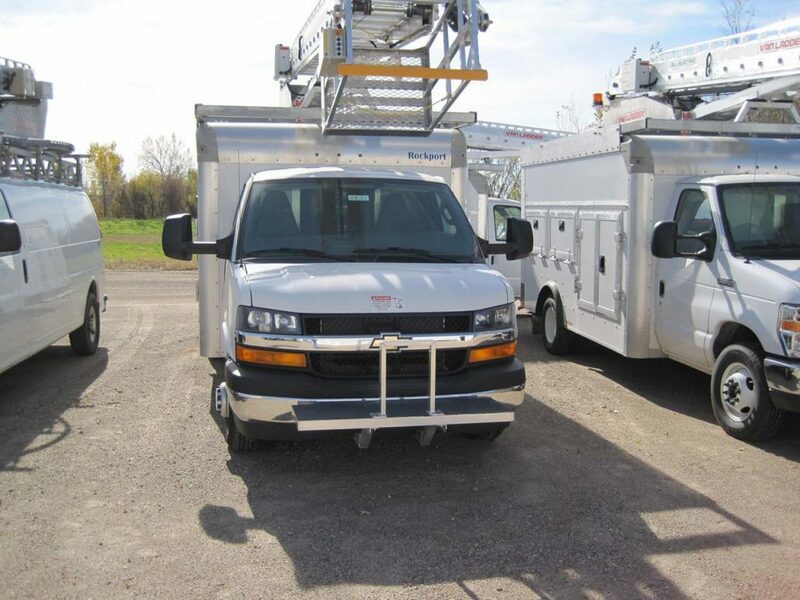 Let our friendly engineering staff help you achieve your goal.